Once winter comes, most people assume that their trees will receive enough moisture from the snow to make it through until irrigation systems are activated once again. In Colorado, we generally have times when we have warmer temperatures and little moisture in the winter. November through February tend to be very dry months for Colorado and we may need to supplement water to keep our trees healthy. Trees should be watered about every three to four weeks depending on the moisture. Temperatures need to be above 40 degrees. Allowing the soil around trees to freeze while dry will repel moisture rather than allow it to reach the tree’s roots. 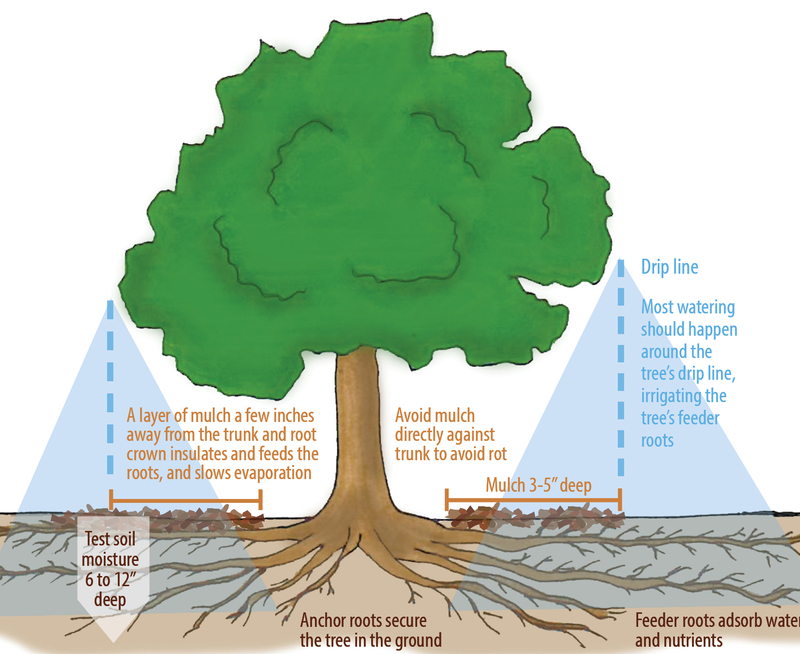 Keeping the soil beneath the surface moist with deep root watering ensures active root growth for healthy trees. Mulch also helps to hold the moisture in the soil. Spread it in an even layer about 3 to 4 inches deep as widely as possible around the trunk. Use a hose and apply water slowly so that it the tree roots can absorb the water. With the hose on a slow dribble near the trunk, move the hose every half hour or so around the tree. The larger the tree, the more time it will take to give it enough water. 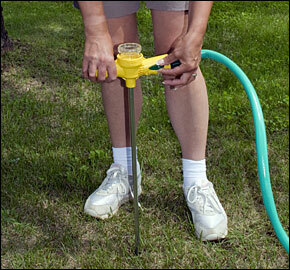 Use a porous soaker hose to apply water. Lay the hose on the soil around the tree. Turn water on slowly and let it run for an hour or more. Use a root fork or needle inserted about 8 inches to apply water. Your local garden center will carry these. Use a bucket. Pour the water very slowly on the area around the trunk. Try to deliver at least 10 gallons every time you water. Horizon Landscape & Irrigation is a residential and commercial landscaping company operating in Denver and the Front Range of Colorado since 1983. Serving: Colorado, Metro Area, Denver, Highlands Ranch, Greenwood Village, Centennial, Westminster, Thornton, Aurora, Stapleton, Commercial and Residential Services.